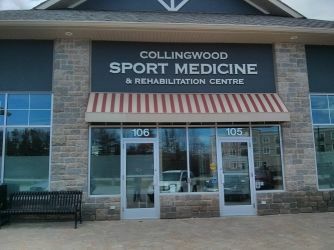 Lifemark Collingwood Sport Medicine & Rehabilitation Centre is located in Unit #105 of the Cranberry Mews Building, 10 Keith Avenue (on Hwy 26W) in Collingwood. The clinic has free parking right outside the door, with convenient accessible parking directly in front of the building. 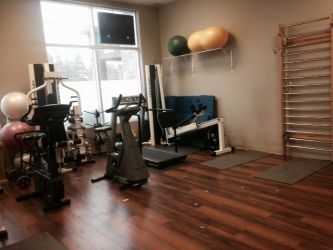 Lifemark Collingwood Sport Medicine & Rehabilitation Centre is the largest physiotherapy rehabilitation centre in the Georgian Triangle area and has been servicing the community since 1991. 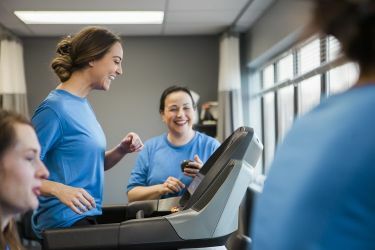 Our highly experienced team of professionals offer services in the field of physiotherapy, chiropractic, occupational therapy, concussion care, kinesiology, massage therapy, pedorthics, custom bracing and rehabilitation personal training. 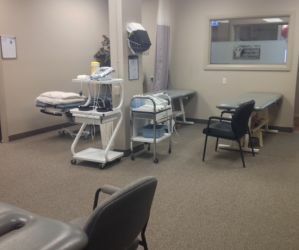 Our clinic is centrally located in Collingwood, and offers 3,750 square feet and includes 9 private treatment rooms, 2 gym rooms, five clinical treatment beds and a decompression table. Our staff includes a sports medicine physician, physiotherapists, registered massage therapists, kinesiologists, a chiropractor, and an occupational therapist. 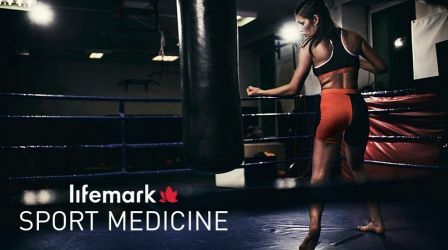 Lifemark Collingwood Sport Medicine & Rehabilitation Centre is highly experienced in dealing with motor vehicle accident insurance claims, WSIB, third-party insurance companies and Veteran’s Affairs. 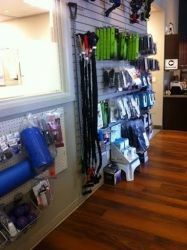 We also offer custom bracing and orthotics services, and Functional Capacity Evaluations (FCEs). Our clinic staff can help confirm your health insurance coverage. Your treatment may be partially or fully covered if you have extended health benefits, a worker’s compensation claim, or were injured in a motor vehicle accident. We offer direct billing to private insurance companies. Please check your coverage in your company’s extended health plan. Please note that for payment, all major credit cards, debit and cash are accepted. We do not accept personal cheques or American Express.